I’m honestly not 100% on the differences in nozzles or whether the installed one is meant to be replaced, but I would assume they went with a standard, and relatively cheap, nozzle for mass production. @Simon Can you confirm which are the correct nozzles? Did someone buy a replacement nozzle yet? If so which one? Yes I have that nozzle on the printer right now. might be interesting for other people in europe. How about changing the heatbreak to a coated one? Did not have a look yet… is that a possibility? There is a Kickstarter project being run by the people behind https://dddmaterial.com to produce 0.4mm tungsten print nozzles for 1.75mm filament. Tungsten is better in hardness, thermal conductivity, and expansion coefficient than either brass or steel, making it better for high-temperature or abrasive filament. They are, however, significantly more expensive than brass or steel nozzles. Backed, thanks for the tip. I just replaced the original nozzle that came with my Delta. I’ve done around 750 print hrs on it maybe used 5kg of standard PLA filament, nothing abrasive. As you can see my nozzle is pretty worn down. 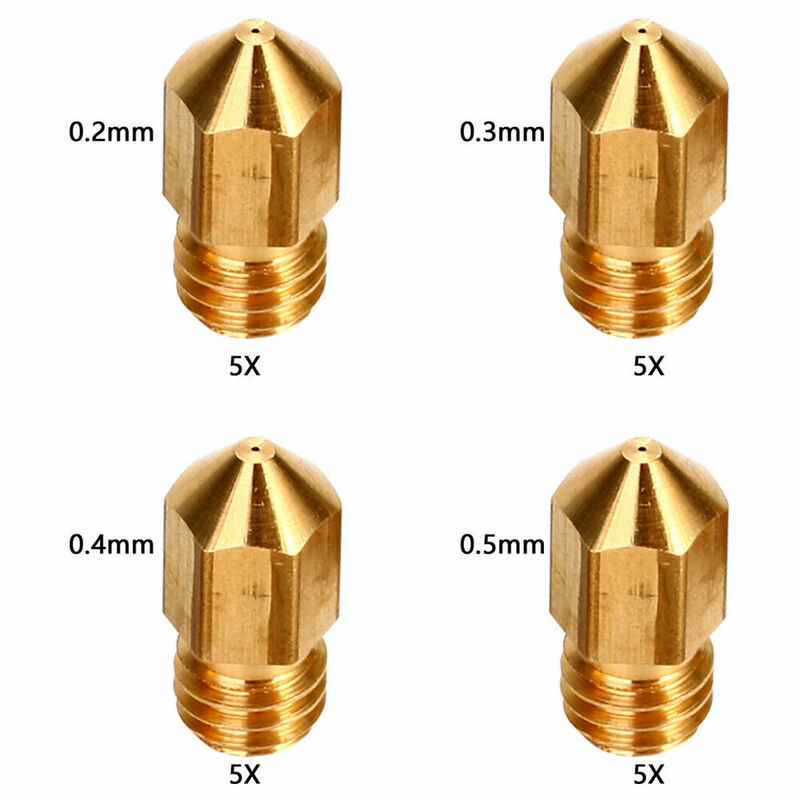 I bought some basic 0.4mm brass nozzle from Ebay and I’ll provide an update once I’ve done a few prints. Cool, I thought you were a new user, how in the world did you do 750 prints and use 5kg? I mean if you couldn’t setup your delta sometime ago then your new… right? Just curious. And please post the ebay link too, good luck! I’ve had my Delta for just over a year now, I’ve just had many issues trying to connect to my Delta as when I set it up I didn’t move it for almost a year then when I decided to move it I had all sort of issues connecting via wifi and usb. Here is a print before I changed the nozzle (Mind you there is some under-extrusion from my S3D settings not calibrated) But I could see the quality of my prints degrading. I did have 1 issue where I had PLA leaking out the top of the hotend. I initially thought it was coming out of the side of the nozzle. I had to take most of the tool head apart to clean it up. I think when I was taking the nozzle off, I might have loosened the hotend and PLA was back-flowing through the top of the hot end. Anyway it all works fine now. unless he printed 750 Marvins I am not sure how he did that… that only about 6g per print. Yeah, loosening the heatbreak was the same problem I had… I ended up removing the nozzle due to a really bad clog for cleaning, and I ended up with the backflow of PLA oozing out through the printhead. Thankfully I was onto it right away as I was watching the print start up again, and after two disassemblies of the print head to work out what was going on I cured it of that ailment for good… the heatbreak will NOT be loosening itself in the life of that print head! Thank you @debre and @pfeerick I’ve had this problem for 7ish months now, after 2-3 prints I would always have to open the module base and clean the junk out and around the hotend (always thought it was the nozzle). Took the courage to dismantle and sort it out yesterday, it’s working perfectly now thank you very very very much for sharing this valuable info! Love and respect! UPDATE: Couple days after, seriously this is an unbelievable revelation, I feel like a new man! I can print without worrying about the thread leakage woooooh! cool! 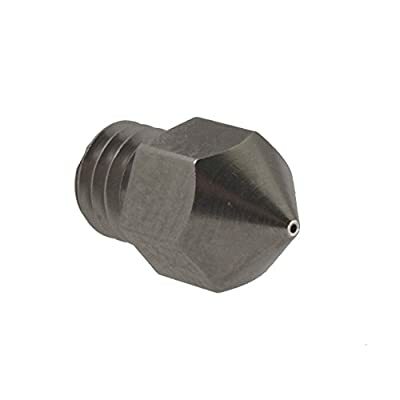 the flux store is now selling nozzles separately.